1. Application: The impact crusher is widely used, and the applicable material hardness range is wide, so we can see the working scene of the impact crusher on many occasions. 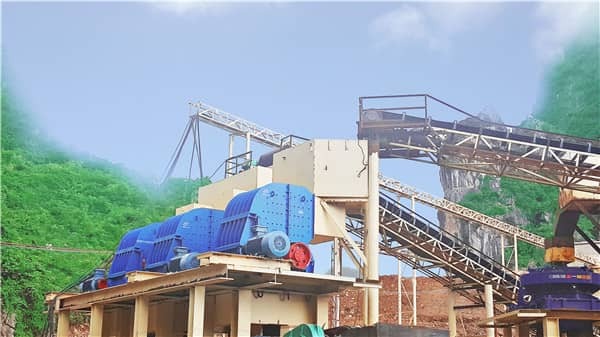 The dry-process cement process limestone uses a single-stage impact crusher to generate crushing of the material along the joint level, and the discharge material has a uniform cubic shape. After the bulk material enters the crushing cavity between the counterattack plate and the rotor, the kinetic energy is obtained by the rotation of the rotor portion, and the impact is repeatedly struck between the counterattack plate and the rotor, respectively, through the first-stage counter-attack cavity, the second-stage counter-attack cavity and the bottom grinding. The cavity is crushed step by step to achieve the required discharge size. 2. Structural characteristics: multi-stage counter cavity of the impact crusher, there is enough crushing space, suitable for the crushing of large materials. The angle of the counterattack of the impact crusher can be adjusted to ensure that the material is at an appropriate angle during repeated impact between the counter plate and the rotor, which can effectively improve the crushing efficiency. The step-by-step counter-crushing process can effectively reduce the energy consumption during the crushing process. The counter-attack plate adjustment system of the impact crusher also serves as the overload protection device of the whole machine. When foreign objects (such as iron blocks) or unbreakable pieces enter the crusher, the counter-attack plate can automatically retreat and bounce, allowing foreign matter to pass through the crusher. To prevent damage to equipment caused by foreign objects (such as iron blocks) or unbreakable blocks. Next Article: Hammer Crusher and Impact Crusher, Which One is Good?